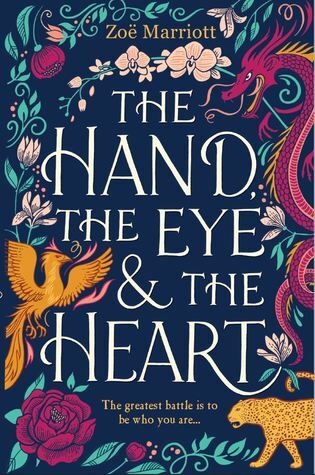 I am currently reading The Hand, the Eye and the Heart by Zoë Marriott. I should have died when I was seven. Any ordinary child would have. But it was many years before I would realise how far from ordinary I truly was. You've heard the saying that no one is entirely what they seem, yes? OK so I was hooked by this first paragraph. I couldn't put it down, I was sold. The first lines are definite intriguing and hint at the scope of the story to come. The first chapter is pretty intense, there's a lot of tension. 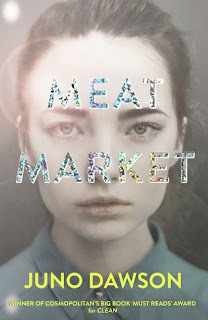 Also, isn't the cover absolutely stunning? I could stare at it all day. So freaking pretty. And all of those turquoise bits are shiny. Shiny. Before he could finish the thought, I spun out of the shadows and came at him once more. Our blades clashed at the height of my waist, disengaged, clashed again before my face. The point of his sword slipped under my guard and grazed the shoulder of my armour, sending a handful of leather scales flying. I turned my movement against him and my elbow thudded solidly into his gut. I heard the hard cough of his breath and the soft wheeze beginning beneath it. I'm actually about to finish it because I couldn't stop reading and wow. When I read these lines from page 56 I was full up excitement and anticipation. Now I'm finished and all I can say is go and order this book. Now. It's a wowser. I love how it sounds. Sounds like my kind of book! I added you to the Linky. Happy weekend! That's a lovely cover and the book sounds really interesting too! This is such a brilliant idea and this book looks absolutely stunning!